Citrus zest and infusion of green tea for a radiant complexion. Unifies skin texture, boosts cells and restores a radiant complexion. The brightening orange extract provides radiance and light. Green tea purifies and activates microcirculation. Lemon extract unifies and brightens. ORANGE: Provides in-depth cleaning for greasy and acneic skin. Brightens the complexion. Restores the skin’s radiance and brightness. LEMON: Possesses toning and regenerative properties, tightens the pores and purifies. Boosts cells, unifies and brightens the complexion. GREEN TEA: Possesses moisturizing substances, acts deep down in the dermis and epidermis. Purifies and activates microcirculation. Slivers of ginseng and horsetail strands for plumped skin. Toning and tautening, anti-aging, it rejuvenates treated skin. The hyaluronic acid has a plumping and anti-aging effect. Ginseng stimulates the production of collagen and is reparative. Horsetail encourages tissue elasticity, and is firming and remineralising. HYALURONIC ACID: A component of the extracellular matrix, it plays a crucial role in skin moisturizing, tone and elasticity. An active anti-aging ingredient, it plumps wrinkles. It encourages cellular migration and proliferation. 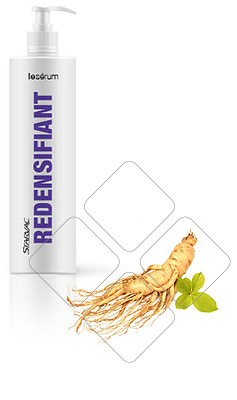 GINSENG: Has toning and regenerative properties, tightens pores and purifies. Boosts cells, unifies and brightens the complexion. HORSETAIL: Possesses moisturizing substances, acts deep down in the dermis and epidermis. It purifies and activates microcirculation. The softness of chamomile and finesse of aloe vera for fresh, zen skin. Calming and softening action, it reduces redness and relaxes the features. Chamomile softens and relaxes the muscles, aloe vera provides moisturization and freshness, and orange extract soothes and delicately refreshes the skin. ALOE VERA: Aloe vera has been known since antiquity for its calming and soothing properties. It also moisturizes and freshens. 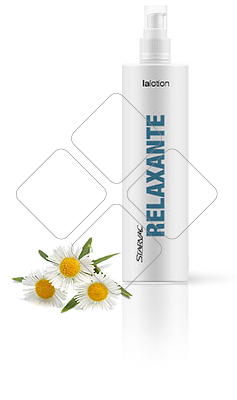 CHAMOMILE: This has been the subject of several medical uses since ancient times. It softens and relaxes the muscles. ORANGE: From the orange tree, originally from China. Restores radiance and brightness, sooths and delicately refreshes the skin. Exquisite argan oil and gourmet royal jelly for revitalized skin. Argan oil regenerates skin cells. 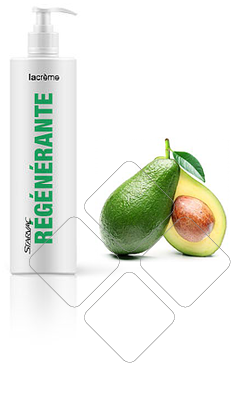 Avocado oil has restructuring and moisturizing power. Royal jelly stimulates collagen production and provides deep nourishment. Marine collagen improves skin flexibility and elasticity. ARGAN OIL: Has essential restructuring and antioxidant properties that allow for combating aging, revitalizing and regenerating skin cells. AVOCADO OIL: Rich in Omega 3 and 9, it moisturizes, regenerates, heals and combats aging by stimulating natural collagen production. 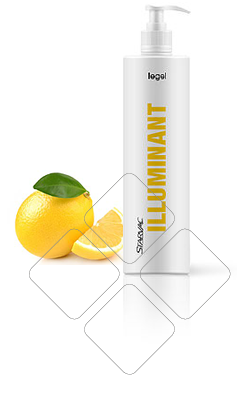 Energizes the cells, unifies and brightens the complexion. ROYAL JELLY: A product secreted by worker bees, it encourages cell regeneration, which allows for reducing pigment stains and scars. It stimulates collagen production and provides deep nourishment. MARINE COLLAGEN: Offsets the reduction in the body’s natural collagen production, reduces the depth of wrinkles and fine lines. Provides deep moisturization for mature and dry skin to preserve healthy and resistant cells. Improves skin flexibility and elasticity. Explosion of guarana and ivy leaves for a dream body. The combination of guarana and Indian horse chestnut encourages the liberation of fat cells and the reduction of fat stores. Ivy had powerful active ingredients that firm and tauten the skin by reducing the orange-peel effect. GUARANA: 7 to 10 times more powerful than caffeine, it stimulates lipolysis (deterioration of lipids in fat cells) and eases elimination of fat stores. INDIAN HORSE CHESTNUT: Has venotropic and draining properties and allows for eliminating lipolysis residues. Efficiently combats excess water retention. IVY: Helps lipids stored in fat cells to return to blood circulation for elimination, allows for combating cellulite, firming and tautening the skin. Fresh menthol and Indian horse chestnut shavings for light legs. The refreshing method provides an “ice” effect. Combined with camphor, which is toning, they decongest heavy legs and swollen feet. The use of Indian horse chestnut increases capillary resistance, stimulates venous tone and eases the resorption of oedema. 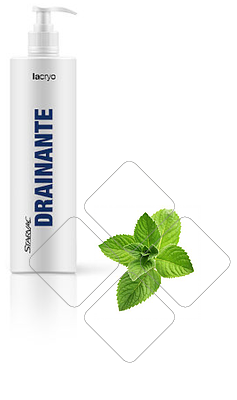 MENTHOL: Fresh and decongesting effect, relieves heavy legs. 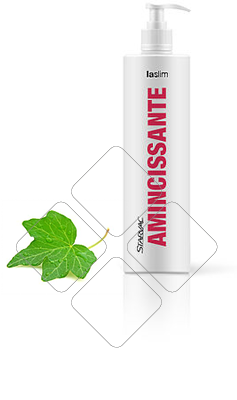 CAMPHOR: Has toning anti-inflammatory properties and activates blood and lymphatic circulation. INDIAN HORSE CHESTNUT: Has venotropic and draining properties and allows for better blood and lymphatic circulation. Effectively combats excess water retention. A mist of sunflower oil to treat the body gently. Sunflower oil combined with Vitamin E helps to reconstruct the skin’s lipidic film and gives it softening and relaxing properties. It provides a peasant gliding sensation and comfort during use. 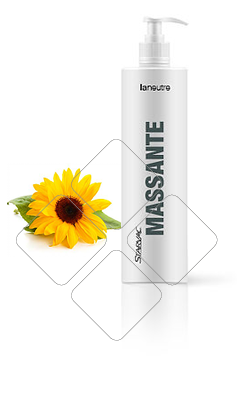 SUNFLOWER OIL: Provides a pleasant gliding sensation and comfort during use, allows for reconstructing the skin’s lipidic film. VITAMIN E: This is present in plant oils and provides nourishing, softening and relaxing properties.